Should I use contractions in IELTS Speaking Test? Home IELTS Speaking Test Should I use contractions in IELTS Speaking Test? Will you get a lower mark if you use contractions like “gonna” ? A contraction is when you combine two words to make them shorter. It is = it’s. Most contractions are used in speaking and sometimes in informal writing. I really wonna go to the cinema tonight. The majority of students wonna travel before starting university. Wonna and gonna are only used in spoken English and not in formal writing (see below). It is fine to use these words in your IELTS speaking test and in fact will help with your pronunciation band score. Are these contractions in the Cambridge dictionary? Yes, they are. Follow the links: wanna and gonna. Pronunciation is 25% of your marks for IELTS speaking. This means the way you pronounce sounds, words and sentences. Part of that does include linking sounds and linking words, such as gonna, wonna, it’s and doesn’t. 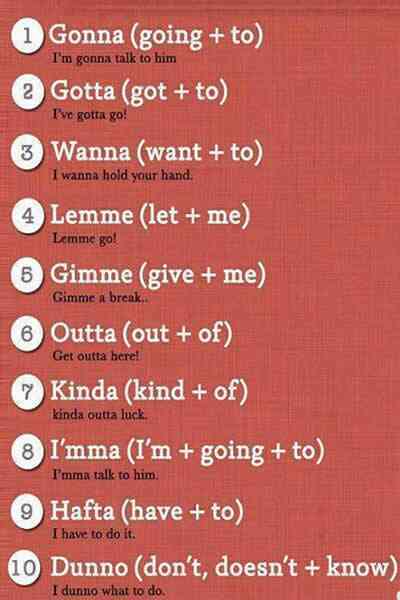 So, try to learn these contractions are use them naturally in your test.